Runner’s knee is the term usually associated with pain around the outside of the knee when running (or cycling). 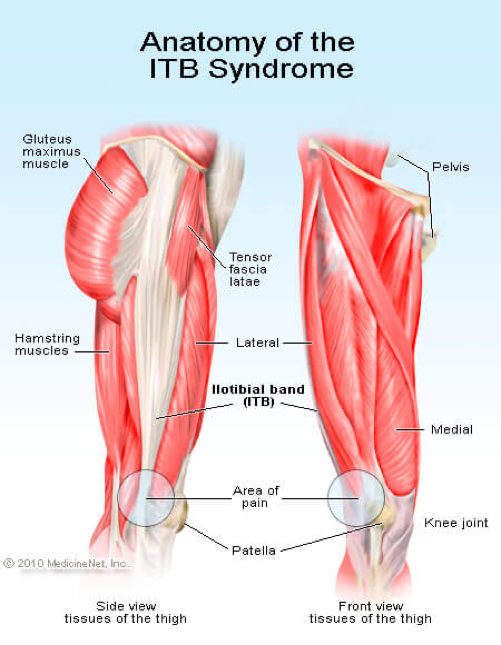 This is an overuse injury due to a tight Iliotibial Band, or IT Band. Tightness in this band causes friction when the knee flexes and extends, and inflammation occurs as this band crosses over the bony prominence of the femoral epicondyle. This is the most common cause of lateral knee pain in runners and cyclists and why people seek runner’s knee recovery treatments. To understand what is runner’s knee, let’s examine the causes. Runner’s knee syndrome can be caused by many different reasons, including poor training habits, mechanical dysfunction, muscle imbalances and anatomical differences. Much like the alignment in a car, if the alignment in your pelvis is off, structures start to function in a way that they aren’t meant to. This leads to compensation from other tissues, resulting in overuse. When tissues are getting overused, they don’t get the chance to breathe, or get the fuel that they need to function. 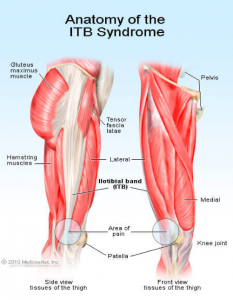 With runners’ knee, the tissue that is getting overused is the Tensor Fascia Latae (TFL) muscle that connects to the IT Band. The IT Band itself actually doesn’t tighten that much, but as the TFL tightens, it pulls on the IT Band which then causes the friction around the knee. Foam rolling down the side of the leg can help, but make sure to pay particular attention to where the TFL is, which is closer to the hip bone. If you are a runner, running down hills will aggravate your knee, as the IT Band is being used to help stabilize the knee more. For cyclists, getting the proper fit on your bike and clip-in shoes can make all the difference in the world. If your toe is pointed too far to the inside, this will also aggravate your knee. If you are experiencing any of these problems, a number of runner’s knee treatments can be done to help fix it. First, giving yourself time off from exercising and letting things heal on their own is an option. This usually isn’t the best option, because you want to be confined and missing your exercise. Foam rolling and using ice can be very beneficial, but this only helps to alleviate some of the symptoms. The best option is to get your movement evaluated by a professional, such as a sports chiropractor, to see where you might have dysfunction and compensation. The best outcomes can be found from a sports chiropractor who also specializes in Active Release Technique, as both the structural and soft tissue components of your dysfunction can be addressed concurrently. Another solution if you have just recently started feeling these pains, is to immerse yourself in Whole Body Cryotherapy, which will help to eliminate the swelling and inflammation, and also help with the pain. 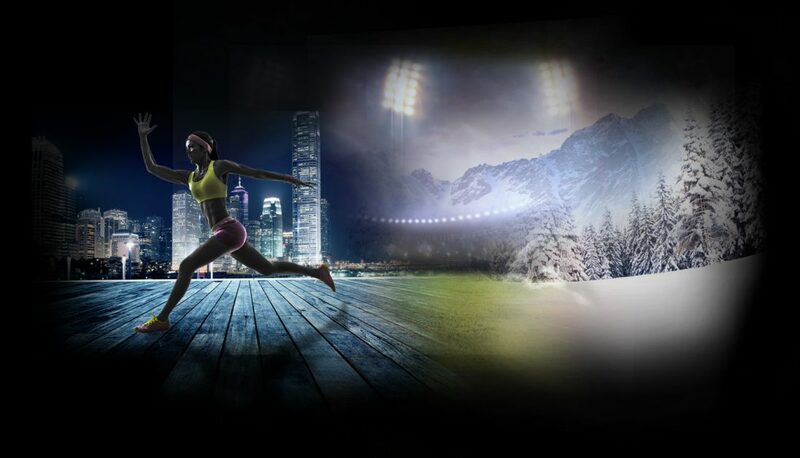 Come check out 5280 Cryo & Recovery Clinic at any one of our three locations to get all of these runner’s knee recovery treatments in one convenient place!